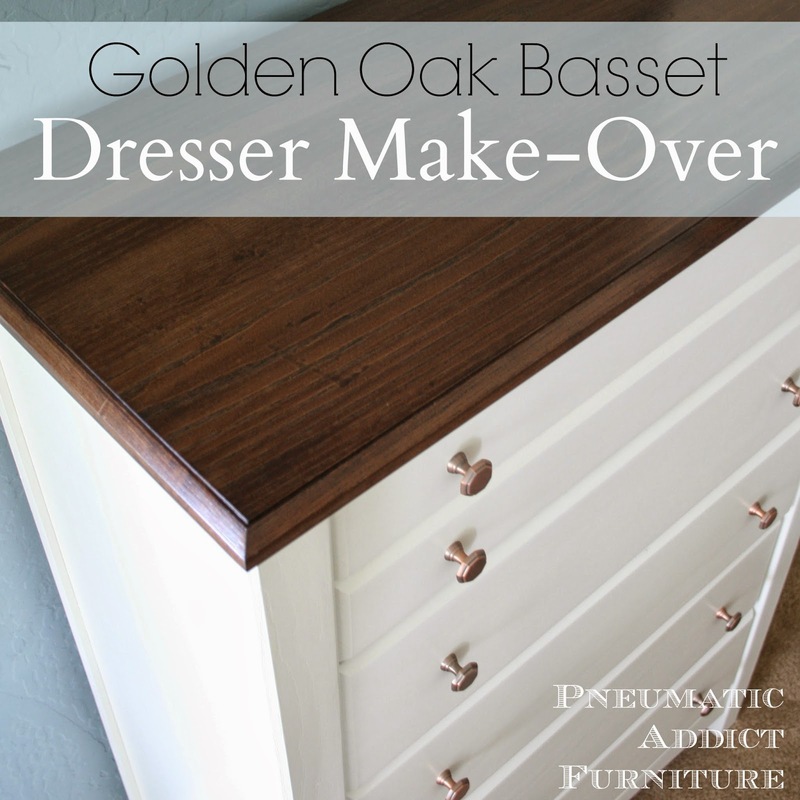 Golden Oak Basset Dresser Make-Over, Sub-title: the 90's are Awesome! A couple weeks ago I mentioned that I had recently picked up some furniture from a friend cleaning out his investment property. The first piece to get a make-over was the Computer Armoire with a Twist. 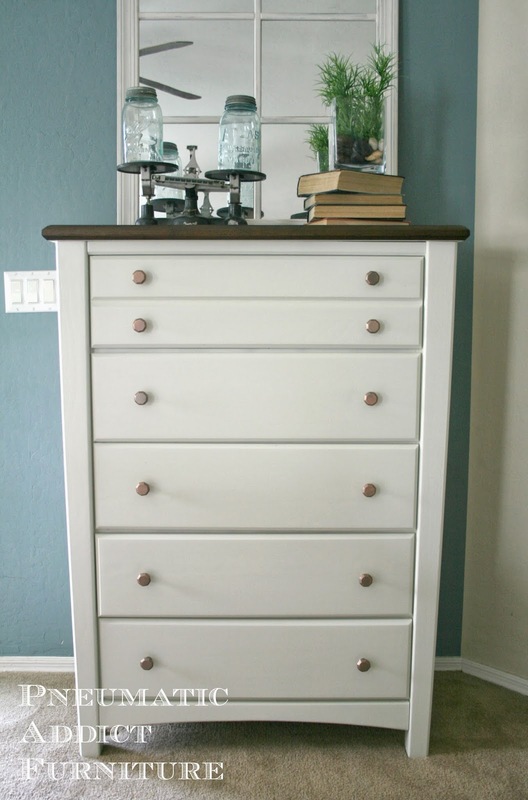 The same friend also sold me a 5 drawer Basset dresser that I was thrilled to come across. This thing is SOLID! Seriously. Quality and looked brand new... just straight out of the 90's. Luckily, that's easy to fix. After some sanding, priming, staining and paint, here's her new look. 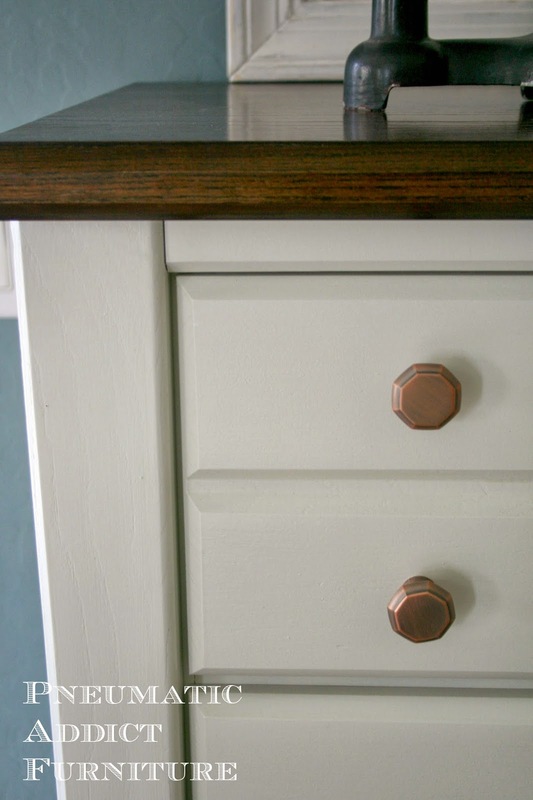 I was really glad this dresser was solid oak and I could strip the top down to bare wood. I love the look of a stained wood top and painted base. I mixed up a custom batch of stain from 3/4 Special Walnut and 1/4 Bombay Mahogany. For the white color, I mixed the remnants of about 4 cans of "oops" paint I had sitting on the shelf. The old knobs, although unique, definitely needed an update. Aren't these new knobs great?! Apparently, copper is the new "it" color for metal this year (Did you know that?) The great people at D. Lawless Hardware generously donated these modern octagonal knobs for me to use. They are only $2 people! That's incredible for high quality knobs! Yeah, didn't notice the bottom knob was twisted until I was editing the photos. Oops. Just a reminder, here's the before and after. White paint forgives all sins. You could pretty much paint anything white and it would look better. A huge number of the greatest movies ever made came from the 90's (Jurassic Park, Schindler's List, Silence of the Lambs, Forest Gump, etc.). The 90's also made it socially acceptable to rock the "bed head" look. And lastly, the 90's gave us enough honey oak furniture to last till the end of time. Why is that a good thing? Because we can hit a garage sale and pick up a tank, cleverly disguised as a piece of furniture for almost free. I think I'm going to put on a choker and go listen to the Gin Blossoms. Lol! Gotta love the 90's! I love the dresser, it looks beautiful! I am the same way stained tops and painted bottoms are my favorite types of furniture. The knobs are awesome too! Oh my I love the finished look! Its so clean, and the dark stain with white pain is a perfect contrast in color. I would love for you to link this up at our Wednesday party. Love it Elisha! That stain looks so rich. I'm a big fan of dark stain on the top and white/cream base furniture. Refinished my breakfast table the same way too. what a big difference! those knobs are great! Awesome job! Thanks for the link and great post. Good to be working with you! Hahaha, gosh I remember chokers! Anyway, I love this transformation. It's always amazing what a litle paint can do. Stopping by from The Pin Junkie Party. 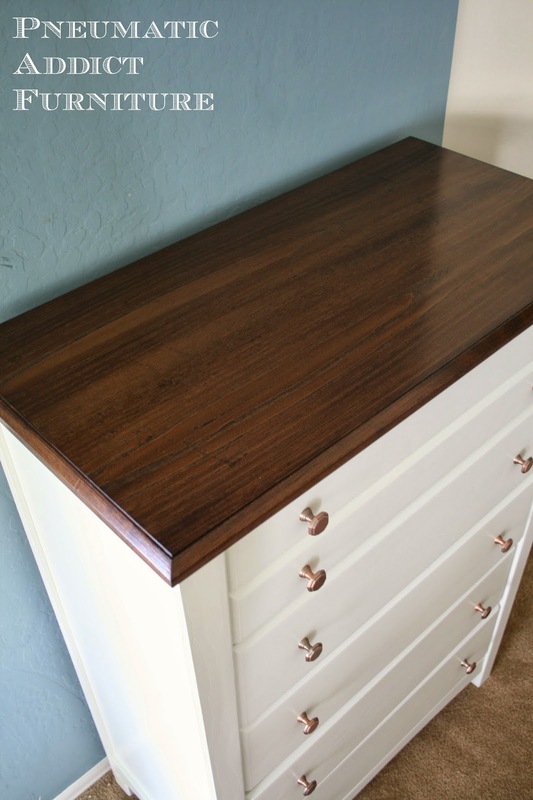 Your dresser is so much prettier now and I love how to kept the top wood. Gotta love 90's "golden oak" (this house was full of it) but just watch, like brass, it'll be back in style soon. I love how you did this! 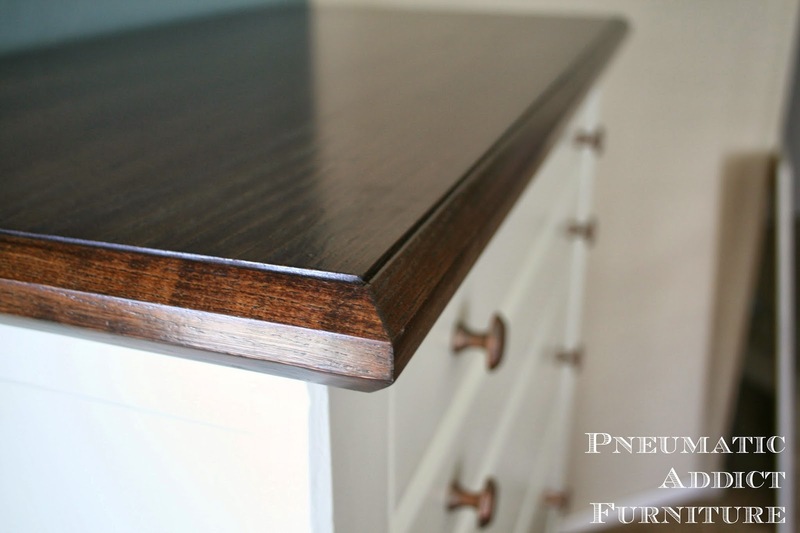 The dark wood stain looks beautiful against the white drawers! Great job! I love the contract between the stained top and painted body. That is gorgeous! I am inspired. We have many furniture pieces that need painting. Thanks for sharing so I'll have the confidence to get them done! 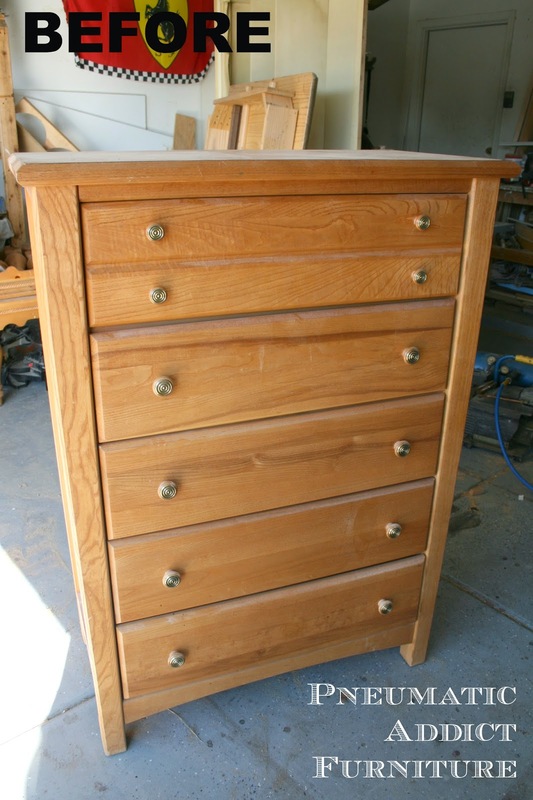 The dresser turned out great. I also love the two tone look as well. Amen to the 90's. Great redo on a 90's piece. 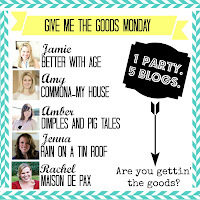 I would love for you to share on my Chic By You Link Party @ http://chicbytab.blogspot.ca/2014/03/chic-by-you-wednesday-link-party-2.html. Hope to see you there! 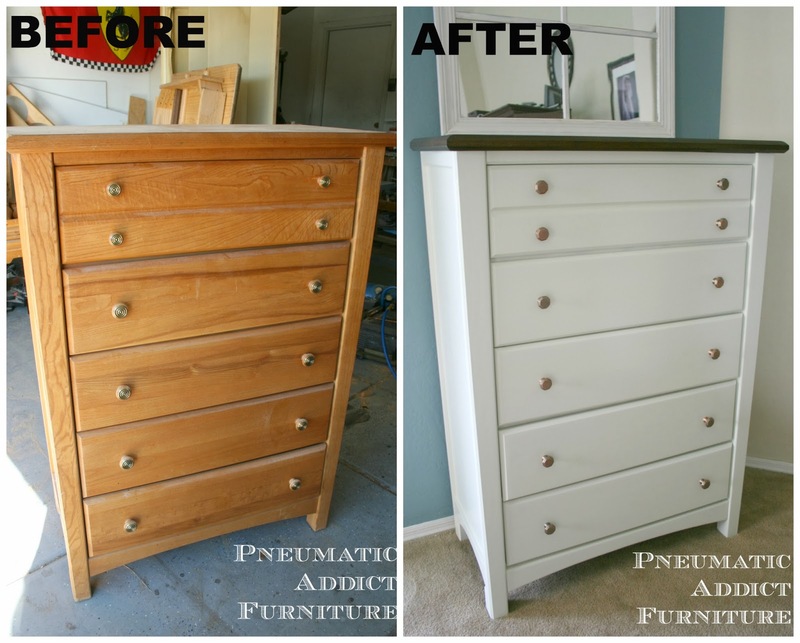 Love your creamy dresser makeover! I'm featuring it in this week's Power of Paint Party Spotlight. LMAO!! A chocker and Gin Blossoms, wow I haven't heard of that band in like forever! LOL Great redo!!!!! I'm pinning this to our DIY Sunday Showcase Talent Board!! Thanks for sharing! 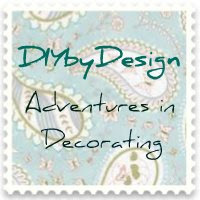 Hi Elisha, thank you so much for sharing this project over at The DIY'ers last week. I'd like to let you know that this project is on my top three favorites! I've pinned it and talked about it on my fb page. Yay! Wondering if you could share the finish color you used for the top? Also, did you use glaze and toner as in your other pieces?